I just came back from your lecture to CNA teachers (I am one of them) and I wish I had the gutts to tell you this right over there but i didn’t, anyway, I would like to thank your words, your passion for the English language and for such a good (unfortunatelly little) time! p.s.Sorry for posting it here, couldn’t find an email address. Am an English Teacher in Rio de Janeiro, Brazil. My coach Consuelo Ribeiro, Teacher Counselor and Adviser once told me and about you and Penny Urr and she is so right about your commitment and passion for your job. Have been listening to your interviews at BBC and read your books and articles. thank you so much for your message. I am sorry I have only just got to it. I attended the debate re TESOL methods in the Middle East yesterday and had to leave quickly to present myself. However, I would love to know the name and contact details of the editor who was so desperate to understand more about how we should change textbooks for the Middle East. My bachelor degree students have some interesting comments for her. Do you know who it was? nice to hear from you. I hope you found the debate useful. I am afraid i didn’t get the name of the publisher, but I would LOVE to hear what your BA students have said. Very interesting. I checked with my 2 bachelor’s groups what they would like to see in a textbook. I got 2 opposing views: the guys wanted the haram topics taken out, but leave some western cultural content in and most girls wanted all the western cultural content as is in textbooks now, no changes. I found the stats you mentioned in the debate very interesting eg 3 times more conversations in English are between non-native speakers than between native speakers. 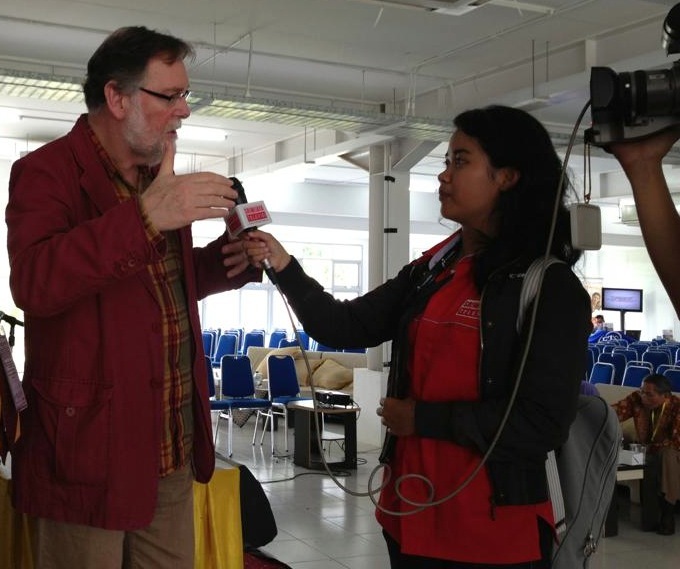 And what you said about the Asia TESOL conference. English is obviously no longer owned by native speakers. well we do have transcripts, but`for the whole unedited lessons. I am not sure if Pearson would release them. Why not mail me at jeremy.harmer@btinternet.com and I can pass your request on. I’ve just got back from the ISTEK conference in Istanbul. A very well organised event that I hope will continue in years to come. I just wanted to say thank you for both your plenary and concurrent sessions. I really enjoyed them and they have inspired me to look again at my own workshops for teacher development. Please let me know whenever you are back in Turkey. thanks for that great message. I loved ISTEK too, and hope to blog about it fairly soon. I haven;t heard from you for a while and I understand you are very busy.Just wanted to tell you that i still look forward to hearing from you. I don’t quite know why I didn’t see this before – it’s been months now!! But (if you still read this blog), it was a real pleasure to meet you and I hope our paths cross again soon. Our Language school ( Hermes ) in iran would like you to run a workshop here .Would accept our invitation? If i had your first acceptance I would do that officially. I am in desparate need of your help.I have sent u an email. I am am English teacher from Argentina , I had the pleasure to attend one of your presentations in Cordoba in 2005. I really need your advice on how to teach English to deaf students because I have a student whose teachers ( the ones she had before at a special school) told her she cannot learn the language, which I do not agree. I am looking forward to you answer. My name is Romelia Popp and we met at the Fischer conference at Bucharest. Thank you for sharing your experience and your wonderful poems. I had a good time at your plenaries and workshops, and of course at your concert. Now I know that dreams can come true, since there are touchable dreams…. Hi there, You’re a great source of inspiration me and many of my student teacher trainees on our CELTA course. We were wondering if you had any personal yet good teaching quotes that we could refer to. Thanks so much. Hello Jeremy: I have just been in Cordoba, (Argentina) at FAAPI Conference “EFL& Art” . I had the pleasure of attending the session you delivered in the morning , and got your book on Methodology signed. I told you I came from a beautiful part of Argentina, the province of Misiones, with Iguazu Falls and other amazing spots to visit. Thanks so much for your two very interesting presentations at the Accademia Britannica International House conference over the past two days. I’ve long wanted to hear you speak, and it was well worth the wait! I felt like a bit of a groupie by the end of it. It is wonderful how you are so approachable, so open to any new ideas, and your enthusiasm is contagious. I hope you enjoyed your time in Rome. I’ll keep following your blog, and hold out for another chance to hear you speak live before too long. I LOVED being in Rome. What a place. And it was great to meet you and all the other teachers. As far as enthusiasm and approachability goes, I work with teachers all the time. I get all my good ideas form them – I mean we get them together – and most of the enthusiasm I feel. I don’t know about you, but I count myself incredibly lucky in the profession I fell into; students are incredibly enthusiastic (mostly) if they can see you helping them to learn; teachers are incredibly collegial IF there are ways and means for them to share and enjoy each others’ company. How are you? It’s me, Carmen from the distant and yet so close Rm. Valcea. Like everybody who has met you I have to thank you for everything you do with such passion and committment and to hope that one day we’ll meet again and chat for hours on end as if nothing else mattered. I enjoyed every minute we shared. I should have replied before! Yes, as you know I thoroughly enjoyed meeting you! And I was very grateful for the video interview we did which I use in the session that you saw (although you never made it to the screen that time!). Do keep in touch. You have my email, I think? I’ve sent you this email many times. I really need your help. I’m a supervisor in an institute in Iran and I asked my colleagues to read your outstanding book ”How to teach” .What’s the best way to evaluate them after reading the book ?Isn’t panel discussion and presentation on different chapters of the book more practical than multiple choice questions and task files? I’m looking forward to knowing your opinion. Well, you can do just about anything of course. The question you have to ask is what do you want students to get out of it. Do you want to test their knowledge, expand their knowledge, discuss their beliefs etc. Once you have decide that you can go ahead and find the right kind of way of doing it. I was lucky to attend your presentations on TESOL ARABIA last year.I must say that you truely are a great source of inspiration to many of us here in Iran. I represent Hermes institute(cambridge center IR200) in Tehran and would like to invite you to come and pay us a visit here.It will be an incredible experience I promise! drop a line if you like the idea and we’ll follow from there! you sound like you are having trouble over there! The only thing you can do is make the language simple and try as many different ways as you can to engage their interest and their comprehension. Difficult to advise you from here because I do now know your students or the conditions that they study in. thank you sir . they think a lot in the final exam . i do not know how to advise them to get rid of such negative thinking because their fear from the exam paralyzes their power to think correctly. Hi, I had had several problems with my thesis question, I’d like your help. Well, I want focus on speaking… well what you think about this question. How to improve oral production using monologues? Juan Lopez :Hi, I had had several problems with my thesis question, I’d like your help.Well, I want focus on speaking… well what do you think about this question. How to improve oral production using monologues? it is now way way too late to answer your question. Monologues are great for oral production – the preparation, the practice and the doing them again and again. I am so so sorry I never replied to this comment before. Things sometimes just get on top of you! I haven’t written down all of those poetry ideas so far (although some of the pop up in ‘The Practice of English language Teaching’, ‘How to Teach English’ and ‘How to teach Writing’ – all my Pearson methodology books. I am going to put together some more poetry stuff in a new book I am doing – but that’s still under wraps! I have just received a preliminary IATEFL conference programme where I saw that you will be the MC of this year’s Pecha Kucha. I was wondering – if you are still looking for pochachkaists – how I can send you my ppt for your consideration. My comment has mysteriously disappeared so I am reposting it. Actually it was a question. I have seen in a preliminary IATEFL programme that you will be hosting Pecha Kucha this year. I was wondering if you are still looking for participants and if so whether I could send my ppt to you. I’m probably one of your biggest fans here in Brazil, but I’ve never had the opportunity of watching you lecture. Do you have plans of coming to Brazil? Who do I have to contact about bringing you to lecture for my teachers? Is that even possible? I certainly hope so! Thank you for your wonderful books. I was in Brazil twice last year (and twice in 2009!). I have been to Brazil many times and have always loved it. I have no plans for Brazil this year, but I usually go there for Pearson Education so maybe you can talk to them? I am sure we will meet some time soon. Good luck with your CD! I studied music first, and then went on to do CELTA; so my passion for both language and music is equally strong-I’m planning to embark on an MA applied linguistics in September, but I will miss the music. However, I am thinking how I could possibly combine both! Composing songs for Young learners, while fun is not too musically challenging! Love your blog, great to read! I’m a teacher of English in Moscow. I’ve been using your Advanced Speaking Skills for years. It’s a marvellous course. So, problem is that the quality of the audio recordings (cassette) has become very poor. I’m desperately trying to find a better copy, in MP3, preferably. I would be grateful if you could help me. I have no idea how akward you might find this letter, but this is a part of assignment to email a letter of invitation to a well-known professor of English whose reponse might help me survive the course. As a matter of fact, I study English Teaching in a god-forsaken university in south of Iran. Here we used to study your books on English Teaching methodologies. As for a related course on advanced writing, I am assigned to invite you as a hypothetical figure to a seminar supposedly being held here in Iran where you might find quite notorious to repond to. This is quite hypothetical, and I just need your response whether declining or accepting to come. I know you might find this quite unsolicited and put it down as a casual mail. Yet I hope an answer will come after all. I am terribly sorry for the inconvenience. My name is Karla, I teach English for very young learners in Brazil and I’d like to share some ideas with you. Could you give me your e-mail, please? Hello, Jeremy. I just finished reading “Trumpet Voluntary”. The story is amazing and it makes you want to keep reading, while the book is perfect for anyone who is learning English as a second language. I absolutely loved it!!!! Good job! Representing International House Aguascalientes Mexico, and listening to you last week in Guadalajara, opening this mail I thought immediately of you:)! So simple and yet so brilliant….A Palindrom…. Seriously huge fan and I’ve read all of your books. I’m a teacher trainer and owner of a TEFL course in Prague. I’d love to pick your brain (for just a minute) about some things. I’m sure you’re super busy so I won’t bother you with questions. If you have the time to write/chat, just send me an email or something. I’ve just discovered your blog. I’m a senior-aged English teacher in Melbourne having retrained in a new career I’m passionate about….after 30 years in IT. Saw you in Melbourne a couple of years ago and have been a regular user of the “Just” series since then. I’m really excited about where social media and new technologies are going – I think they’re going to change reading, writing and knowledge acquisition even more than the invention of the printing press did! Looking forward to following your blogs. I´ve read some of your books and I also follow you on your blog, you are coming to my country in some days, what a pitty I won´t be able to be there. All the same I hope you have a nice staying in Uruguay. I Hope to be in one of your conferences one day! I was delighted with your workshop on poetry you held this April in Novi Sad, Serbia. We obviously share the same keen interest in literature. I, myself, am a teacher trainer and my first workshop ever was on relationship between poetry and other forms of writing; that is to say its aim was to foster students’ creativity instead of analyzing what the poet (in this case, R.Frost and his Stopping by Woods… ) had to say. However, it’ll take time until poetry has been fully grasped and accepted in my country; but there are still those few enthusiasts willing to work with it. I’m also planning to do a thorough research into D.Parker’s poetry for my Master’s degree. Any suggestions or useful tips? Maria from Argentina here ! Yesterday I had the pleasure of attending your lecture on Teaching Unplugged ( having you sign a copy of your latest book) and later attended the presentation on Music and Poetry at Centro Cultural Borges . We all loved the lecture but I think we really enjoyed knowing another phase of yours ( you as a musican and an artist) the most . You had all us crying with your beautiful song “50 different kinds of love” and again when we could all join you and Malena and Claudia singing “The Mountain Thyme” ( we could all feel that it came from the bottom of your heart) . Thanks for having given us a unique opportunity !! You are a TEACHER for all of us , who impregnate us with energy , your knowledge and love for the teaching of Shakespeare’s tongue . Thanks a ton and chapeau!!! I have some doubts regarding the best or most common methods and/or approaches used now a days in teaching English as a second Language. I am a new English teacher in Spain for primary education (just got my title!). Please could you tell me which are the most important ones? Some days ago I bought your book titled the practice of english language teaching, longman london, 2008. It costed around 60 euros… so it was a kind of investment for me, as I am in Spain preparing myself for public examinations to be an english teacher. for instance I looked for information or research regarding use of drama in teaching English, and… only 2 pages with very superficial information. It looks like you have written a lot of staff but you don’t talk seriously about anything. I have lost my 60 euros. Neve again will buy a book of yours. Just as an example of waht kind of books I find useful and high quality for the English teacher I would mention Richards and Rodgers, “Approaches and methods in Language Teaching”. in English contract law an axiom that holds is ‘caveat emptor’ which as I am sure someone with your extensive and deep knowledge will know means ‘let the buyer beware’. Next time you go to buy a book why don’t you take a little more care before you pay your €60. That way you will not be disappointed. I am glad you enjoy Richards and Rodgers – cited, as it happens, in the book which you say has no citations. Thanks for your reply. I did not want to be rood on my critics. I can say now, after reading your book more “extensively” that it was not as bad as I thought in the beginning. The point is that for my purpose, preparing public exams in a very practical way mixed with need for deep theory I think this book does not fit. Neither on the level as I think it focuse more on adult teaching. It was interesting to read your two messages to Mr Jeremy Harmer.I hope you and Mr Jeremy harmer do not mind my answering just two points.I am a teacher of English in Argentina and have been teaching for a long time.Thus,I have studied and used many methods.However, I do no think there is one method if one wants to be a truly good teacher.I think one must be eclectic and use all the methods,that is, use the method that works for you and your class. As far as Mr Harmer’s book,I wouldn’t say it is superficial.On the contrary it is practical.”Approaches and methods in Language Teaching is an excellent book but the latter is theory but Mr Harmer’s book isn’t.In order to arrive at the practice of teaching English ,we must research a lot first and then put our knowledge into practice.At least this is my opinion.Hope it helps.All the best. Thanks for the answer Ana! it’s very nice from you… I was focusing more on a general approach. I agree with you that there are many methods and that we should use them all as long as they work under each circumstance, but… when we talk about general approaches things change and I really do think that CLT is the “mainstream” way of teaching now a days in part because it’s eclectic and it is a set of methodologies grouped together. I have made some videos talking about this, here is the link…. Dear Mr. Harmer: Do you have any articles on the subject of “Music and Language”, available through inter-net? Books? Thank you. I liked your video very much.What I can say is that no linguist or teacher can deny the contributions made by Stephen Krashen on the acquisition theory and other theories.However,obviously Krashen has not answered all of the questions on language learning.Learning a second language is a very complex process that neither you nor I actually know how it works.I have often wondered about this. For example,why does one student in a class learn one item of vocabulary you have taught the whole class and yet other students haven’t learnt it? What are the reasons? What are the explanations if you have given the class the same exposure to that particular word? By the way,very good clear voice.